Upholstery can often be an afterthought when cleaning your home. Neglected upholstery harbors years of dirt, debris, and allergens, which can impact your family’s health and well-being. That’s why it is recommended to have all upholstery professionally cleaned at least once a year. 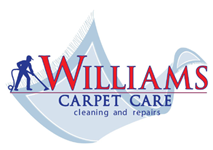 Williams Carpet Care is the leading Fayetteville cleaning company specializing in upholstery cleaning. Our technicians are experienced with cleaning all types of fabrics including wool, jacquard, microfiber, cotton, tapestry, and outdoor fabric, among others. 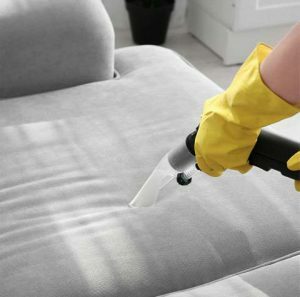 We efficiently remove the stains and dirt trapped in your furniture using specialized wands to either dry or steam clean your upholstery, depending on the need. We are committed to using the utmost care with your furniture; we do not use harsh detergents that would damage your fabrics and finishes or be unsafe for your family. We will have your chairs, couches, recliners, and any other upholstered furniture looking and smelling like new. The result will be better air quality in your home and a longer lifespan for your furniture. Do not neglect your Fayetteville NC upholstery cleaning needs; give Williams Carpet Care a call today!